It's refreshing to see great and exceptional talents in the body of Christ do amazingly well in front of thousands of youths. The truth is, Urban gospel is something that can be enjoyed by the young and the old however, we all know it appeals more to the youth than the old. The youth are able to personally connect with artists who belong to their generation, produce creative contents that connects or appeals to them. Let's not forget the dressing, language, etc etc. So it isn't surprising to us when we see top urban gospel pioneers and artists stand before thousands of youths and shake the whole place with the message of Jesus Christ which saves, liberates, frees and brings hope and love. 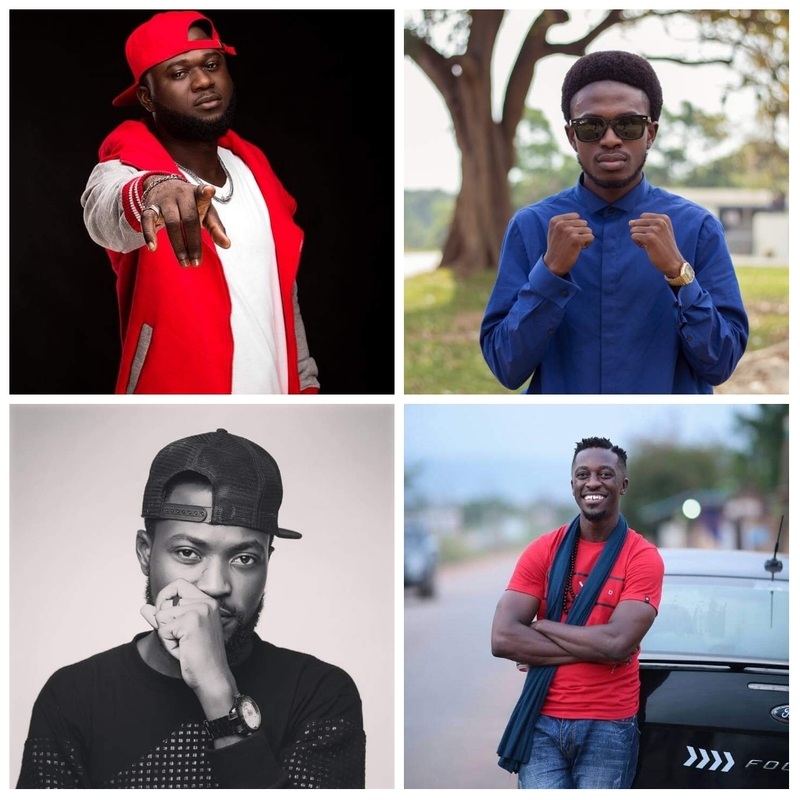 On 1st December, Ghanaian urban gospel pioneers and heavyweights: Psalm 1, the Christ Junkie, Jaysmoke, Esaias and Regardless reminded us of why God chose the youth to be His representatives for the youth. These guys absolutely obliterated Mfantsiman Girls School on saturday on the JESUS SAVES TOUR by Empowerment Worship Centre's Fixed Church (teens church) one after the after. It started with Jaysmoke on the turntables playing back to back authentic Ghanaian urban gospel tunes and you should see how the songs were received. The whole school went bonkers! Rocka Nation's very own Esaias mounted the stage to perform and shake the foundations of the school with "Grace is the New Swag" and "Oyeadeyie" and my oh my! The students went crazy. Mr. Moment of Truth, president of Truth Nation, Regardless mounted the stage to perform "God is Bigger" and the students went off! They went off!!! The students sang passionately "bigger, bigger, bigger" saying how bigger their God is than anything and anyone. Next on stage was the Vimming president himself, Psalm 1, the Christ Junkie. Psalm 1, is notoriously known for touring senior high schools and organising concerts for them thus it was not surprising at all when he mounted stage. The energy was bonkers! The roof went off! He performed his yet to be released single which is already making waves "GOD IS GOOD". At a point he stopped performing and had a dance session with the whole school dancing along with him. He ended his performance with "IBI SO" and that was when things went off hand. The popular "banging" dance took over and the girls danced along and didn't want to stop. The whole evening was special and you might think the artists and students were on steroids. Ladies and gentlemen, boys and girls, Urban gospel artists, the youth love God and His Son Jesus Christ. They also love quality and good music. Regardless (no pun intended) of the fact that there might be systems and structures that make the youth not consistently get access to gospel contents, we need to take it to them. Jesus said we should go into the world after all to preach the good news. We must provide good and quality arts and they'll receive it. This isn't the first time urban gospel artists have been received, they are mostly received and it's one of the main reasons why every weekend, a significant number of them get booked for shows.